Forgetting your computer password isn’t fun. Thankfully, if you use a Microsoft account to sign into Windows 10 The Pros and Cons of Using a Microsoft Account with Windows The Pros and Cons of Using a Microsoft Account with Windows A single Microsoft Account allows you to log into a wide range of Microsoft services and apps. We show you the pros and cons of using a Microsoft Account with Windows. Read More , you can reset your password through Microsoft’s website and it’s relatively painless. But it’s a different story with a local account. If you forget that, it’s a doable but tedious process to reset the password How to Reset Your Lost Windows 10 Password How to Reset Your Lost Windows 10 Password You forgot your Windows 10 login password? Don't despair! We'll show you how to reset your password and recover your account. Read More for a local account. 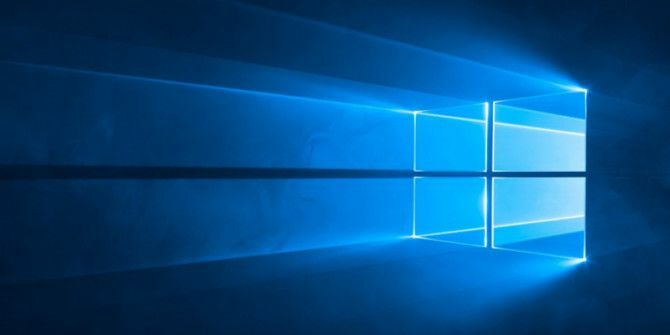 The latest April 2018 Update for Windows 10 adds a new feature that makes recovery a lot easier: security questions. Here’s how to set them up. Open Settings and navigate to Accounts > Sign-in options. Confirm your account password, then you’ll see three boxes where you can select a question and provide an answer. Choose your questions and answers wisely. You shouldn’t provide obvious answers to security questions Why You're Answering Password Security Questions Wrong Why You're Answering Password Security Questions Wrong How do you answer online account security questions? Honest answers? Unfortunately, your honesty could create a chink in your online armor. Let's take a look at how to safely answer security questions. Read More . Once you’ve added an answer for all three, click Finish and enter an administrator password if needed. Your security questions are ready to go once you’ve done this. To reset your password with them, look for a Reset password link that appears under the password entry box on the login screen. You’ll see it after you type an incorrect password. Enter the correct answers for your three questions, and you’ll be able to reset your account password. If you use a Microsoft account, you can reset your password at the login screen using Microsoft’s utility How to Recover Your PIN and Password From the Windows 10 Lock Screen How to Recover Your PIN and Password From the Windows 10 Lock Screen Ever forget your PC password? If you sign in with a Microsoft account, there's an easy new way to reset it right from the lock screen. Read More instead. We recommend that anyone using a local account adds these questions and notes their answers in a safe location. It’s a lot easier to reset your password with this than it is with workarounds, and it only takes a moment to set up.